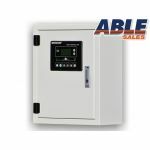 A automatic transfer switch allows safe switching between your mains supply (primary source) and your standby Generator supply (secondary source) whilst ensuring both sources cannot be connected simultaneously. 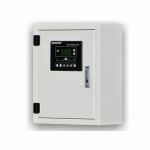 A transfer switch allows safe switching between your mains supply (primary source) and your standby Generator supply (secondary source) whilst ensuring both sources cannot be connected simultaneously. 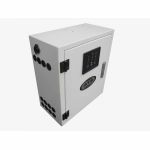 A automatic transfer switch or home generator switch transfer works by continually monitoring the incoming mains supply. 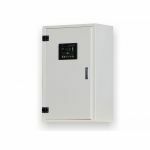 If the voltage of the mains supply fails, or is significantly reduced to create a brownout condition, it will immediately disconnect the mains supply and command the Generator to start. Once the automatic transfer switch has started your generator and is producing a stable supply it will transfer the load to the Generator. When a stable mains supply is restored it will carry out the reverse process, transferring the load back to the mains and shutting down the generator hence the name automatic transfer switch. "Order the pressure washer at 2pm on Tuesday at my door 7am Wednesday great service and a great..."